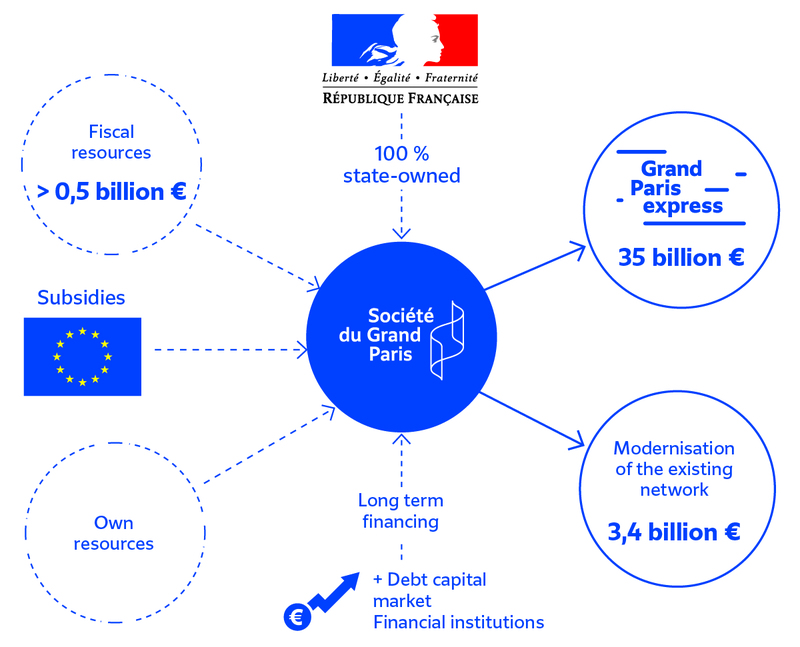 Société du Grand Paris, a 100 % state owned company. 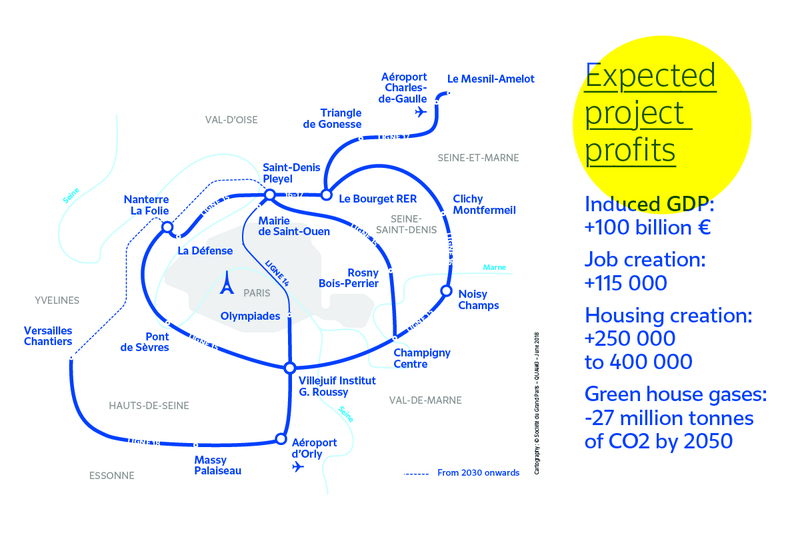 Created by an Act of parlia ment as an " EPIC "
One of France’s major public investor. 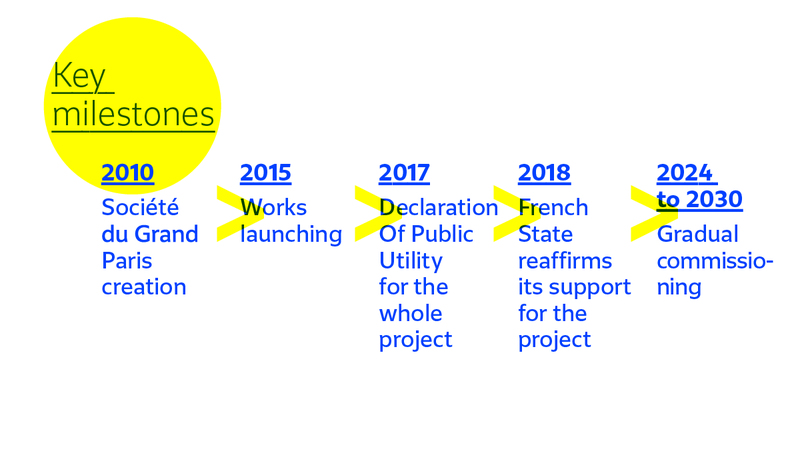 Société du Grand Paris share the COP21 objectives. A new issuer in the international debt capital markets from money market to long term debt instruments to match its long dated infrastructure asset. The first contracts were concluded with the Caisse des Dépôts and the European Investment Bank. Others with take the form of bond issues in the international capital markets (through an EMTN program), completed to manage the day to day treasury operations, by money market instruments (through a NeuCP program). NOT FOR DISTRIBUTION IN OR INTO OR TO ANY PERSON LOCATED OR RESIDENT IN THE UNITED STATES, ITS TERRITORIES AND POSSESSIONS OR TO ANY US PERSON (AS DEFINED IN REGULATION S UNDER THE UNITED STATES SECURITIES ACT OF 1933, AS AMENDED). This document has been prepared solely for information purposes, is confidential and is not to be reproduced, distributed or published by any person, nor to be used in whole or in part for any other purpose. By accessing the presentation, you agree that you will not distribute, disclose or provide any information or material discussed in the presentation to any other person and you agree to be bound by the other provisions herein. Failure to comply with these restrictions may constitute a violation of applicable securities laws. 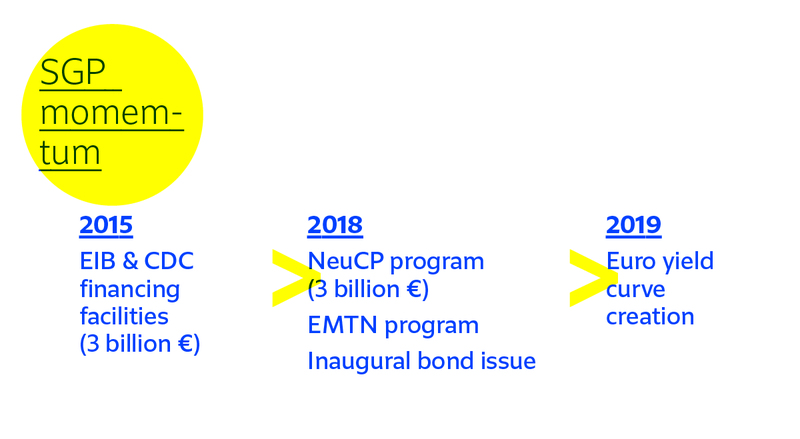 This presentation should not be construed as a prospectus for the purposes of the Prospectus Directive (Directive 2003/71/EC, as amended) nor as an information memorandum within the meaning of Article L. 213-4 of the French Code monétaire et financier and has not been approved by any competent authority, such as the Autorité des Marchés Financiers or the Banque de France. This presentation does not constitute an offer or invitation to purchase or subscribe for any securities and no part of it shall form the basis of, or be relied upon in connection with, any contract, commitment or investment decision in relation thereto. This document is not an offer of securities in the United States. Securities may not be offered or sold in the United States unless they have been registered under the U.S. Securities Act of 1933, as amended, or are subject to an exemption from the registration requirements thereof. It is not intended that any portion of any offering be registered in the United States or that a public offering of securities be conducted in the United States. This document may not be distributed in the United States, Canada, Australia or Japan. (*) Informations obligatoires / Required fields. En cochant cette case vous acceptez que la Société du Grand Paris traite vos données à caractère personnel pour la gestion de votre demande d’informations investisseurs et la réalisation de statistiques internes. Pour plus d’informations sur le traitement de vos données à caractère personnel, cliquez-ici. Vous pouvez retirer votre consentement à tout moment en envoyant un courrier au délégué à la protection des données de la Société du Grand Paris, 30 avenue des fruitiers 93100 Saint-Denis ou dpo@societedugrandparis.fr. Si le demandeur est une personne mineure, en cochant cette case, vous acceptez, en tant que titulaire de l'autorité parentale du mineur demandeur, à ce que ses données à caractère personnel soient traitées pour les finalités citées ci-dessus. By ticking this box you consent to the Société du Grand Paris processing your personal data to manage your request for invest information and for internal statistical purposes. For more information (in French) about the processing of your personal data, click here. You may withdraw your consent at any time by writing to the Société du Grand Paris Data Protection Officer, 30 avenue des fruitiers, 93100 Saint-Denis or by sending an email to dpo@societedugrandparis.fr. If the person making the request is a minor, by ticking this box you, as the parent or legal guardian of this minor, consent to the processing of his/her personal data for the purposes described above.